It’s not really weather – but its weather related. I’m just looking forward to having fresh air & windows open in my home. For me, there is nothing more soul filling than just the smells & sounds of nature. The birds chirping, the cool breeze flowing, the smell of fresh cut grass. Saying that, I don’t look forward to the allergies that come with most of those things – but I’m just ready to air my house out. · Clean out the closet over clean out the garage. I love having a fresh closet & am horrified of finding dead mice in the garage. I have literally been on a kick lately of eating cream cheese on rice cakes. 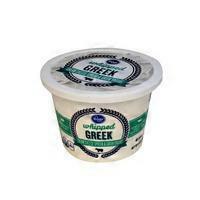 Actually, I’ve just obsessed with the Kroger Cream Cheese made out of Greek yogurt. I could eat a tub of that in a week. If it’s not on the rice cake, I’m just putting on some Ritz or wheat crackers. Dipping some celery in it. Heck, I’ll just lick a spoonful of it for fun. & I love whipped cream in a bowl by itself with chocolate sauce poured over top of it. Like a lighter sundae. Add in bananas & its perfect! If my blogging is iffy lately - I blame our wonderful, fantastic... & by wonderful & fantastic, I mean, STUPID & RIDICULOUS - cable company. We cut our cable off & in doing so, we traded in our modem to get a better & faster one because we need all the streaming we can get now & everything was lagging. & we got the new box & ever since, we can't get diddly squat. We were one night with absolutely nothing. It'll come & go & when it comes, its so slow & we can't run hardly anything. ITS DRIVING ME INSANE. I honestly went to bed at 9pm the other night because it was like, Why stay up? I cant get on the computer & I cant watch anything. How did we live before wi-fi? Happy Spring, although it’s not up here in northern Indiana yet. I adore the Kroger Greek cream cheese too but, our Kroger is closed for the next four months because of the damage it had in the flood. Oh no! That WiFi situation would drive me crazy! It seems when ours would go out it would always be on a Thursday night (right when I was trying to write a post for our Friday 5). Have you ever had Chocolate cream cheese? They had it on the salad bar at my college cafeteria and it was amazing! I've been trying to re-create it ever since! My favorite rain song is "I love the rainy nights" (Eddie Rabbit???). Reminds me of spending summer nights at my grandparents house! I usually put peanut butter on my rice cakes...never thought about cream cheese...GAME CHANGER. I LOVE to spring clean!!! I love whipped cream too. I usually have some brownie brittle and whipped cream. It's one of my favorite snacks. Girlfriend, you better get the wifi fixed STAT! Can't live without seeing your posts in my blog feed every day! 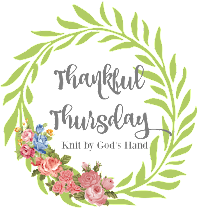 I started to do this Hodgepodge today...maybe next week! The birds have really come back here in the last week or two. I love opening the door and hearing them when I go out. It SOUNDS like spring...even if we are in the middle of a snow storm today. I love a good, clean window but I swear that I have the hardest time making that happen. Always with the streaks and I used Windex! :D Plus, I live in an apartment so I can't get to the inside pane which is dirty sooooo .... sometimes I just stare at the grime and streaks because I'm weird! The inconsistent wi-fi would drive me nuts. That's one of my biggest fears about dropping cable. Also, being extraordinarily lazy keeps me paying big bills every month. Yay for Spring! It's going to be rainy here this week, which is fine, although I keep reminding Mother Nature not to be a b*tch to the burn areas. No mudslides, please! Ugh cleaning base boards. That is so something I need to do ASAP. I love cream cheese! I eat it on saltine crackers all the time. I like to spread a little pepper jelly on it too if I am feeling fancy. I'll admit, this spring I'm excited to start a garden! Totally with you on all the cleaning chores! I loooove real mashed potatoes with some sour cream and/or whipping cream!! And whipped cream with CARAMEL sauce is where it's at, lady!! I put cream cheese on my rice cakes too. And I add a little pepper jelly. Hope your internet straightens out soon. UGH! I hate technology! Have a great week. So totally loved the gyro video and I love to eat gyros too! That is a funny video. I love how different everyone pronounces things like gyro. Ha. I hope your internet gets fixed soon!!! Computer troubles (internet) are second only to car troubles. Hope you get yours sorted out soon! I really enjoyed reading your Hodgepodge today!! Such a great post. Yes, when no internet the best alternative is to sleep! It does feel great to be able to open up the doors and windows! I believe we had the same answers for #2 on what we would clean. That cream cheese yogurt sounds yummy and it sounds good also on the rice cakes. Since we go and have Gyro's every time I'm in Florida I finally learned how to say it. Love the Fallon video. Whipped cream, I could eat that stuff with vegetables! I just washed all the windows on the front of our house - inside and out - just last week! Come on Spring!